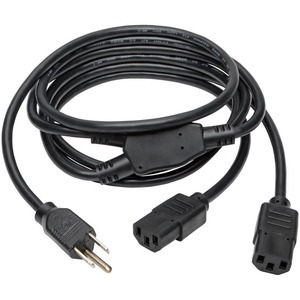 Tripp Lites P006-006-2, 6ft Universal AC Power Cord Splitter, allows you to connect two devices with C14 connections, such as computers, to one power outlet. 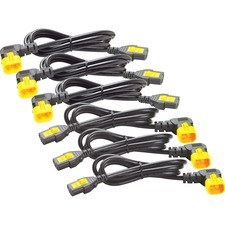 Cuts down on cabling, as well as frees up space on UPS's, surge protectors, etc. Main trunk cable measures 47" from 5-15P plug to the splitter housing, 3" housing, and 22" each on the two C13 legs.